Sad, but true. Every last bit of hyperbole. 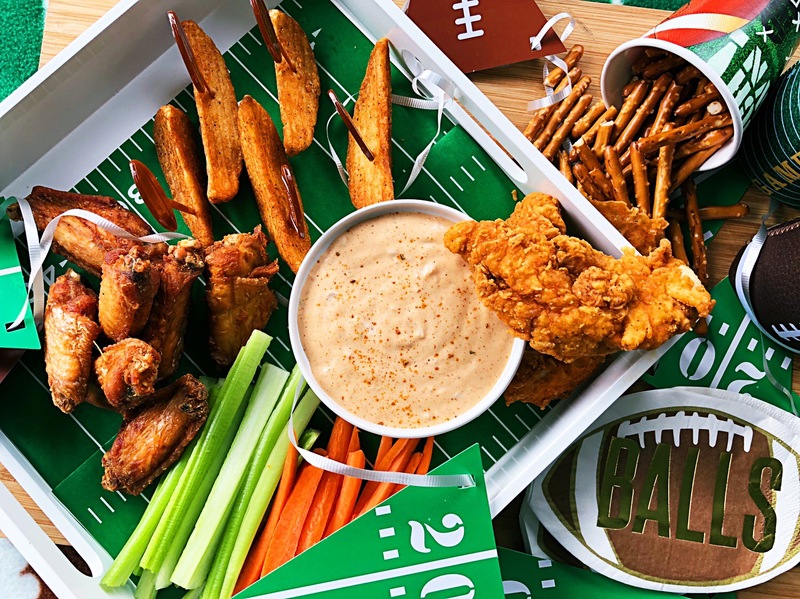 I am naked and unashamed at the fact that I want all the calories (and deliciousness) on Super Bowl Sunday. HOWEVER! If you must take a veggie tray to the Super Bowl hang, please accompany it with my Peach and the Willow Dip..PLEASE!!! Why? Because it is amaze-balls (throwin’ it back to 2011 there), because it will redeem you and keep you from being excommunicated from such events, because it packs a delightful yet unexpected “curry meets hot sauce” kick, and because you are going to be wise and not only take the bite size raw veggies for dipping but a socially accepted version of fried chicken, fried tater tots, fried avocado (anything fried, really) to accompany the darn veggies and the dip! This is my rule. And please understand…I am helping you out here. As delicious and en point as Peach and the Willow Dip is with raw vegetables, footballers will appreciate your attempt at both health and dietary debauchery. 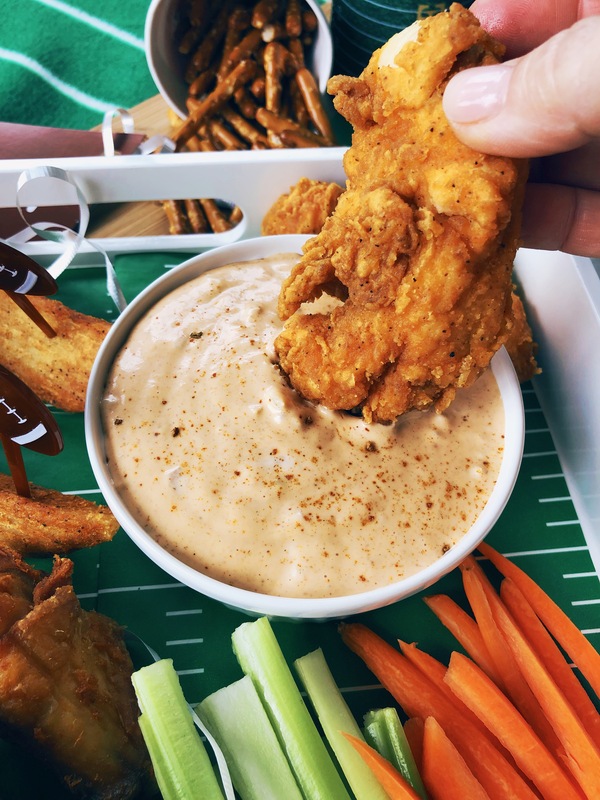 You may remember that I posted this dip recipe last summer and can also find it here, however I have tweaked the recipe on this post to make it a bit spicier and more “football-y”. Lastly…and with some bitterness in my heart…I have no allegiance to either team this weekend as I continue to feel a little more than saucy over the officiating thievery perpetrated against the New Orleans Saints in the playoffs. In my mind, the wrong team(s) will be taking the field on Sunday. Therefore…my attention fully turns to the food, the commercials and the halftime show. May your favorite commercial win and may the halftime show be 1/8 as good as the Prince Halftime Show back in 2007. #besthalftimeshowever! Mix all together and refrigerate overnight. For best results always make the day before. Enjoy! Made this for today’s game! Taste test was delish! I’m so glad you enjoyed! I don’t know if you guys ate it all but it gets better over a couple days!! !